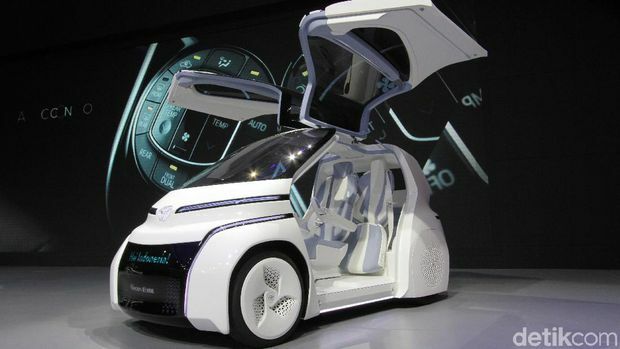 Lately world's automotive manufacturers began competing to create various concept cars for future. Unlike the existing cars today, vehicles in the future are predicted to have more complex functions and also have many features to make it easier for the driver. 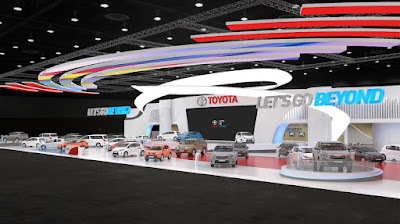 For example a renowned Japanese automotive giants, Toyota who participated in the 26th GAIKINDO Indonesia International Auto Show (GIIAS) 2018 exhibition, also tried to describe their future car figures. 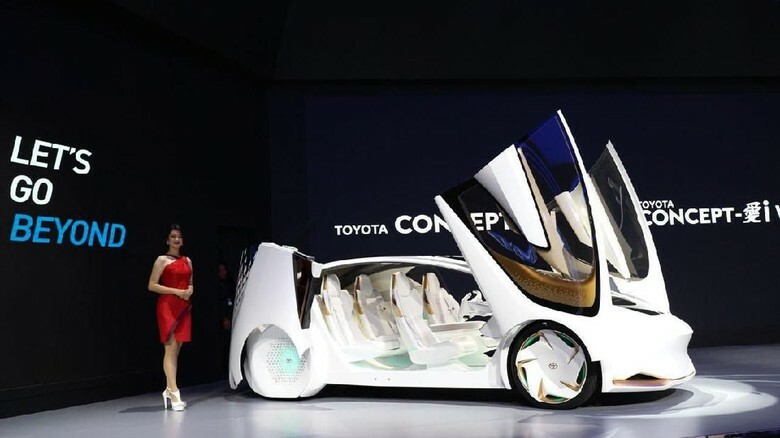 Toyota believes that the cars whose will be used in the future are equipped with the ability to interact with the drivers. 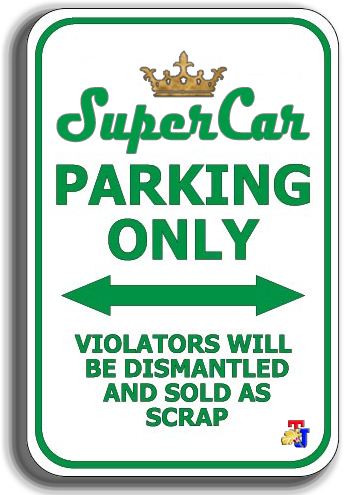 This ability cannot be separated from the installing of Artificial Intelligence (AI) technology upon the car. The following is the Toyota Concept-i which is the embodiment of Toyota's future car versions. This concept car itself is outlined in three versions; Concept-i in the form of sedans, Concept-i Ride, and Concept-i Walk. And all Toyota Concept-i series cars above use the electric motors to be able to run on the streets. First, the Toyota Concept-i model is actually not new. 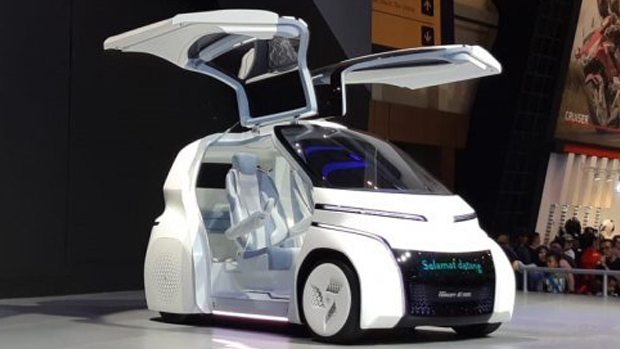 This concept car was first introduced at the Consumer Electronic Show (CES) 2017 in Las Vegas. 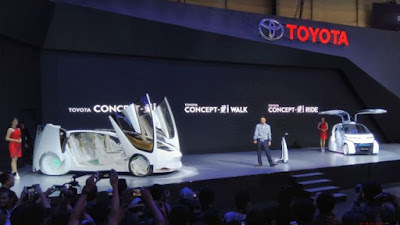 Generally, the Toyota Concept-i has a very futuristic exterior and interior design. In addition to its different forms, it has an ability called an 'agent' that is able to understand the driver emotions. 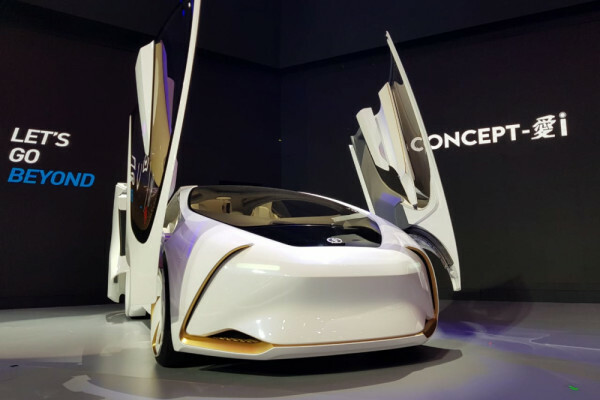 That is, the artificial intelligence system applied to the Toyota Concept-i can detect emotional levels. When you're sad, for example, the system will provide access to the entertainment content that is preferred by you. More than that, the Toyota Concept-i is equipped with an autonomous steering system which is combined with a very capable safety system. 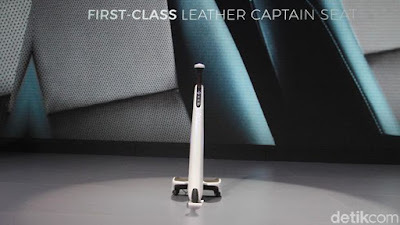 On these concept car use three core technologies: Dynamic Radar Cruise Control (DRCC), Lane Trace Control (LTC), and Predictive and Interactive Human Machine Interface (HMI). The car's ability to recognize the driver emotions can be taken from the data of facial expressions, gestures and speech tonations. While preferences are based on the track record of the driver on social media such as Facebook, Twitter, up to GPS. Let's watch the following video to see how sophisticated the features of this car are. Well, different from the Concept-i in the form of a futuristic sedan above, the Ride which is the latest new variant of Toyota's future concept car is made to give access for anyone to drive. Through this car, people with disabilities who use wheelchairs everyday can sit behind the wheel and drive as well. Dimension of the Concept-i Ride is very small. It is only 2,500 mm long, 1,500 mm height, and 1,300 mm wide with a cruise range of around 100 km. Toyota also provides flexibility in cabin space so that drivers who use wheelchairs can get more easily access. This cannot be separated from the use of the falcon wing door-type. 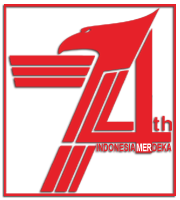 While the seat configuration can be arranged flexibly also. Unlike the car in general, the Toyota Concept-i Ride does not use the steering wheel, the pedals of clutch, brake and accelerator. Instead, there's a joystick is provided. The shape of this vehicle is similar to a segway but has a more compact dimension and is easier to drive. The Toyota Concept-i Walk is designed as single-person mobility rides that can be used in pedestrian areas with a cruise range of around 10-20 km.